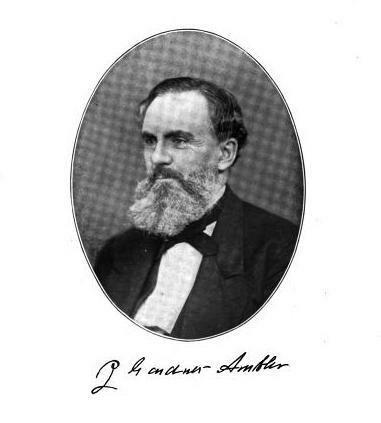 John Gardner Ambler studied under his prominent dentist uncle, Daniel Cooley Ambler, before starting his own practice in 1842. Before long he, too, was among the most highly-regarded of the city’s dentists and established a home and office at 26 Park Place; a most fashionable area. After moving to 31 Washington Place, he built a stylish home and office at 25 West 23rd Street where the homes of wealthy citizens spilled over from Fifth Avenue. The neighborhood was refined and exclusive. Across the broad street at No. 14 stood the brownstone home of little Edith Newbold Jones who would grow up to become writer Edith Wharton. Next door at No. 12 was the magnificent mansion of stockbroker Benjamin Nathan. Dr. Ambler was highly involved in the early dental societies. He was a member in 1842 of the American Society of Dental Surgeons; and was vice-president and then president of the American Dental Convention among others. His fortune and reputation were based mainly on his expertise with false teeth, however. The 1909 “History of Dental Surgery” would remember him as “an expert in the manufacture of artificial teeth and his work shown at different exhibitions received much praise from the profession.” But his talents were not restricted to dental work. He wrote poems. As the commercial district inched northward up Fifth Avenue and society fled uptown, the grand homes they left behind were either razed or converted for commercial purposes. Edith Wharton’s and Benjamin Nathan’s homes were unidentifiable as residences by the last decades of the century, their brownstone stoops stripped away and modern cast iron fronts bolted on. Dr. Amber’s former home would have a less industrial fate. Of the two lower floors that were converted for commercial use, the second story retains some feeling of the original renovation. In the 1880s it was remodeled for business use. The upper floors retained the unusual and highly-attractive Venetian Revival facade, while the lower two received broad plate glass windows for commercial and retail space. The result was an unexpected but pleasing blend of the old and new. The upper floors became home to the newly-created humor magazine Life. The periodical was founded by a group of Harvard graduates inspired by the Harvard Lampoon. Unlike the contemporary Puck and Judge magazines, the humor and cartoons of Life would be more subtle, becoming the model for the 20th century magazine, The New Yorker. The success of Life was explosive and in 1893 the little building was no longer adequate. The magazine built its own building at 19 West 31st Street and moved on. The upper floors of Dr. Ambler's stylish home remain surprisingly intact after nearly a century and a half. All the while the magazine was still becoming popular, young George Henry Holden was learning about birds. Born in Boston, he developed an interest in birds and animals while studying at Yale University. Upon his graduation in 1879 he spent four years traveling “to acquaint himself further with his chosen study,” according to The Sun, years later. 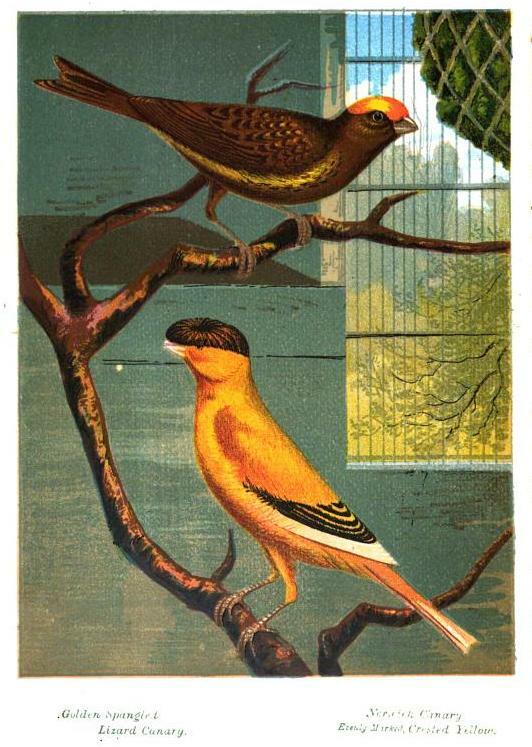 He opened a store on 6th Avenue where he sold imported birds and animals, the first of its kind in New York City. Holden’s store was so successful that he opened a branch in Boston. Not only did he sell and train the creatures, he was a veterinarian and an expert ornithologist. He wrote over a dozen authoritative books on the subject of cages pets and birds. In 1909 Holden needed a larger space for his business. The Graham Shoe Company held the lease to the ground floor store at No. 25 West 23rd, which it passed to George H. Holden “for a long term.” After “extensive alterations,” it became home to Holden’s imported bird and pet store. On September 23, 1914 Holden sold his business to his son. Two days later he was dead. At the same time Benjamin S. Loeb moved in. Loeb had been manager of the New York branch and showrooms of the American Cutlery Company for years. He was known for his admonition to other employees, “The cutlery business must be ‘sharp!’” But Loeb had bigger aspirations. 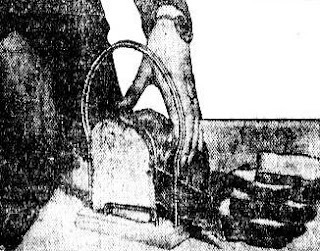 He left American Cutlery to start the Ben S. Loeb manufacturing company—makers of house wares like his Universal Bread Slicer and Knife, introduced in 1919. The Tribune Institute tested the slicer and was duly impressed. It warned the housewives of America that “A sandwich or a piece of toast made from raggedly cut bread is preordained to be a failure.” The institute found the Loeb slicer to be “unusually cheap and at the same time is durably constructed.” The appliance cost 50 cents. Within the decade Ben S. Loeb would produce shiny Art Deco-inspired gadgets in stainless steel like electric waffle irons. On December 16, 1920 Herbert & Neuwirth leased the entire building for ten years from the estate of Frederick W. MacLanathan. The company manufactured and sold high-end lamps, marble console sets, cut crystal bottles and other fancy household goods. Today a Chock Full O’Nuts coffee store is on the ground floor where George Holden sold exotic birds and Herbert & Neuwirth displayed glass parlor lamps. The second floor is home to an acting studio while each of the topmost floors is a residential apartment. But the converted house that sat among the most stylish residences in the city, remains a charming artifact far too often overlooked. Yet another charming home that development passed over. Would love to see what the entire house once looked like with its parlor floor and stoop intact and in fact the whole block sounds interesting.